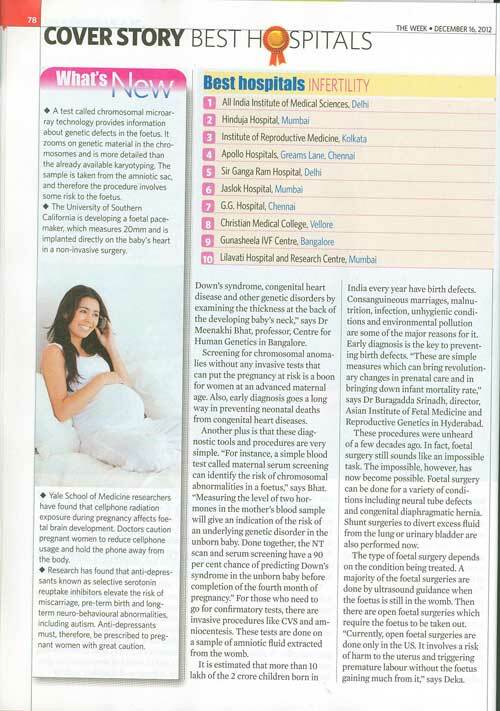 P. D. Hinduja Hospital has been graded the best among the top 10 multi-specialty hospitals in Mumbai and also the second best in Infertility among the Best Hospitals for Infertility in India by The Week-HANSA Research national survey 2012. 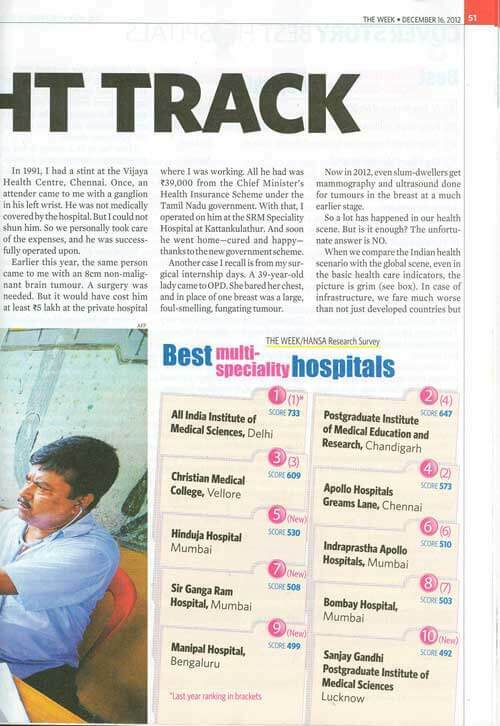 The hospital has also been ranked as the fifth Best Hospital in India. 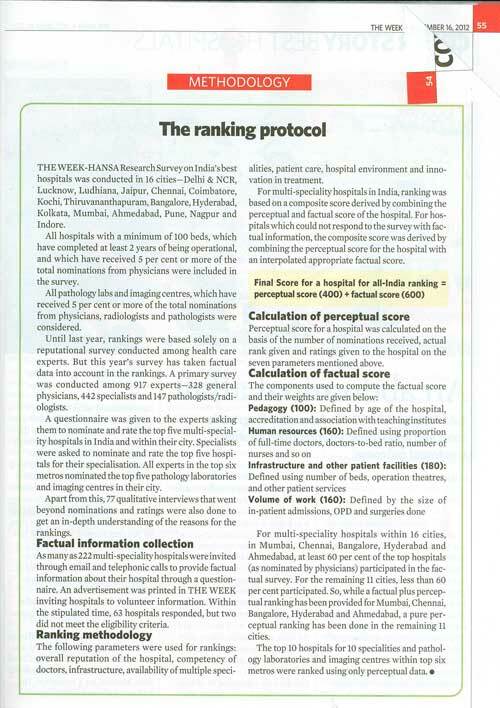 This is the fifth time that P. D. Hinduja Hospital has been ranked as the best in multi-specialty by The Week-HANSA research. 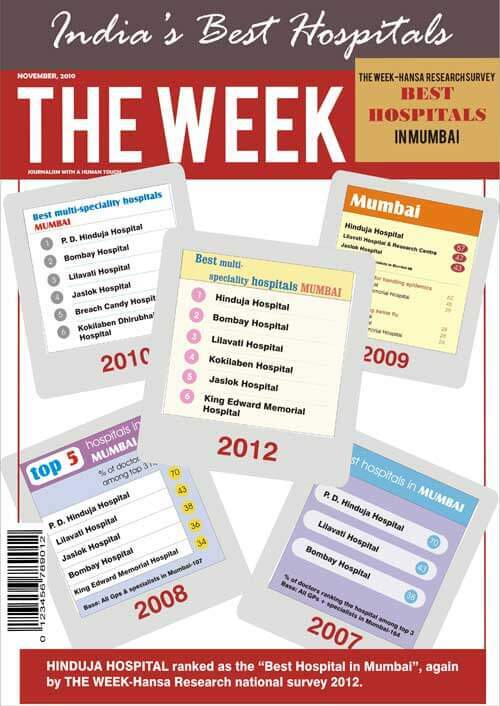 The hospital was rated as the BEST for four times in a row between 2007 and 2010 and now again in 2012. The poll was conducted across 16 cities. 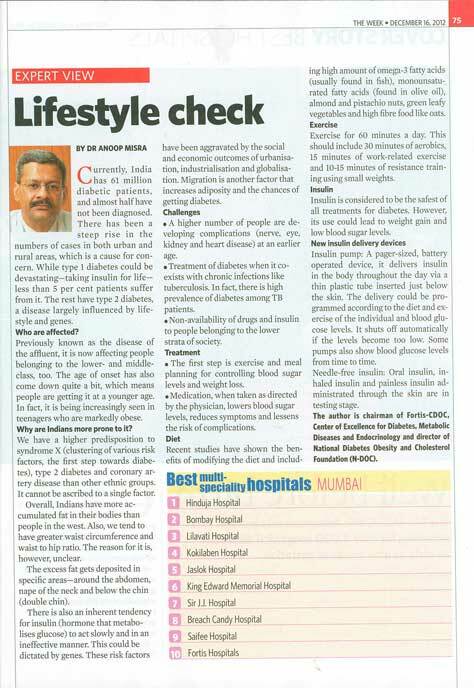 A primary survey was conducted among 917 experts, 328 general physicians, 442 specialists and 147 pathologists/radiologists. 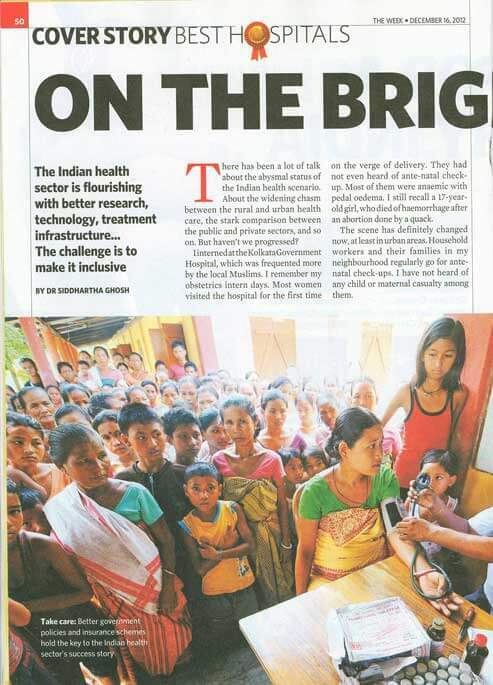 The parameters that were used for ranking were overall reputation of the hospital, competency of doctors, availability of multiple specialties, patient care, hospital environment and innovation in treatment. 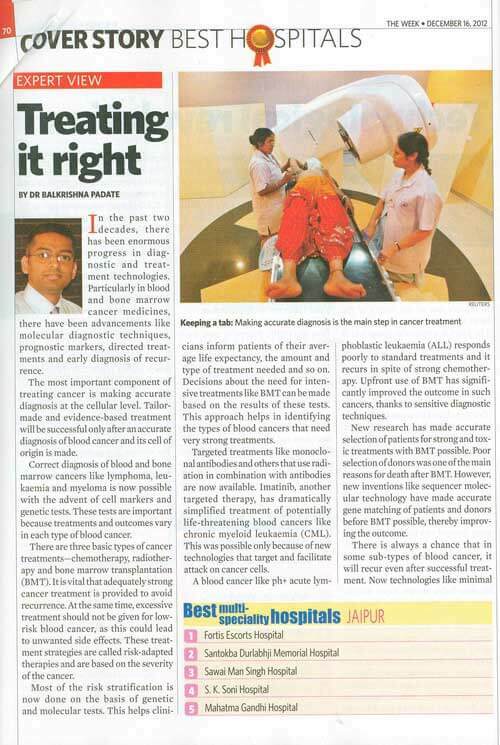 On being awarded the 'Best Hospital' once again, Mr Pramod Lele, CEO, P. D. Hinduja Hospital said, "We at P. D. Hinduja Hospital consider this Best Hospital Award to be a unique honor that speaks to our company mindset and culture. We have recently received several other industry awards for innovation and technology, but this one also recognizes our impact in the community. 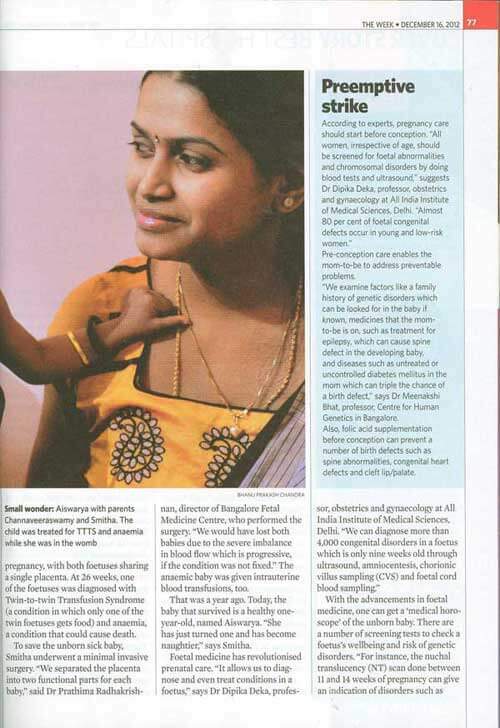 Our focus now is to continue to provide the easiest and most compelling healthcare experience that allows patients to access the best technology at an affordable cost." 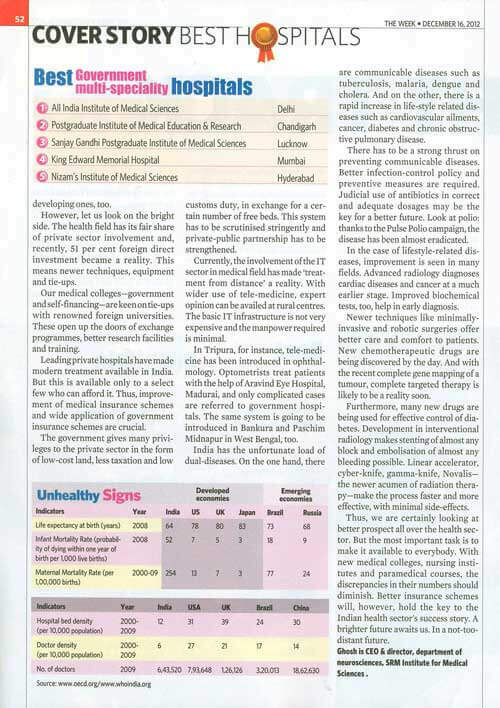 Other multi-specialty hospitals in Mumbai amongst the top 10 are (in descending order): Bombay Hospital, Lilavati Hospital, Kokilaben Hospital, Jaslok Hospital, King Edward Memorial Hospital, Sir J.J. Hospital, Breach Candy Hospital, Saifee Hospital, Fortis Hospitals.